We have had an untypically cold and rainy winter, but these past days we got the occasional hours of bright sunshine, and the pulse of the Earth and the air seemed to quicken a bit, as if nature were waking up from a slumber. Not that plant life largely dies out in winter – quite the contrary, it is our greenest time of the year. And yet the promise of the coming spring still brings this sense of waking up, of things gaining momentum, of life beginning to dance. In colder climes, the herald of the spring is said to be the snowdrop. Down here in the Mediterranean, I find this messenger is the almond tree that bursts into the most exquisite blossom at this time of the year. In the churches, although it has declined in popularity and importance, the feast of Candlemas is celebrated with the giving out of blessed candles – a remembrance that the light is returning. These candles were sometimes used to bless each room in the house. The feast itself, set on 40 days after Christmas, represents the day in which Mary, the Mother of Jesus, was ritually purified after having given birth, and could present her son in the Temple of Solomon. Other interesting feasts congregate at this time of the year – the feast of St Bridget, which incorporated so much of the cult of Brighid the goddess; the wild rituals of the Lupercalia in Rome which morphed into St Valentine’s Day; the New Year of the Trees of the Jewish calendar known as Tu b’Av; the celebrations of many a Black Madonna including the one on Montevergine near Naples. All points to this Quickening that can be palpably felt. And a friend of mine reminded me of another aspect of this time of the year, which is that traditionally one would take up the path on Imbolc and commit to studying it for a year and a day. This can be adapted to taking up a path of learning for this period. In the previous days, I had been intensively researching herbalism and plant medicine, and even thought of studying some chemistry and biology to help me with these studies. I asked a chemist friend what would be a good place to start and he gave me some good pointers. At one point, I mentioned the hexagon-based diagrams that often accompany descriptions of chemicals, and I was told that those were hardly basic chemistry, given that they had confused many a chemist in the past. And then he mentioned that they were figured out by a chemist in a dream. This sounded somewhat too esoteric for a hardline materialist scientific tradition, and thought that my friend had been amicably pulling my leg. Not so. Not only did Friedrich August Kekulé, a German organic chemist, claim to have understood the structure of benzene in a dream. 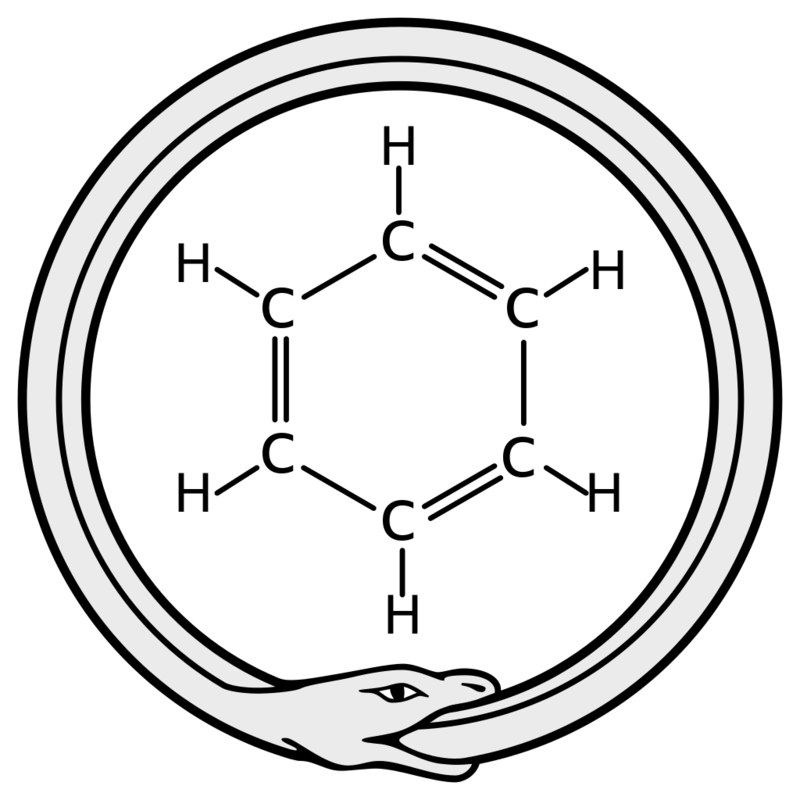 In the dream, the structure of benzene presented itself as the Ouroboros, a serpent biting its tail which has been a symbol in alchemy for millennia. So there I was looking for Science, and found Magic staring me back in the face. For this year and a day, I will seek to understand and assimilate more of the wisdom of the plant world, both in its scientific and its spiritual and magical aspects – which as Kekulé’s dream confirmed for me, are not at all mutually exclusive.